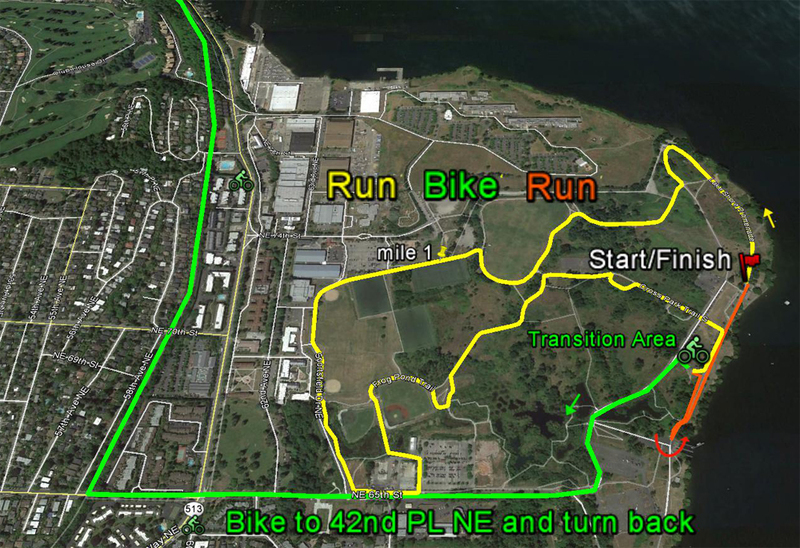 The course is a 5k loop that takes you through all the main attractions of Magnuson Park. For the longer distances you simply run the course two or three times. As you approach the finish line there are two lanes a passing lane for those continuing on to a longer distance and a finish lane where you finish and a bib collector will take the bottom tag off your bib. Please have your bib visible at the finish. The course is open to the public and some areas may have pedestrian traffic so please be courteous of other trail users. 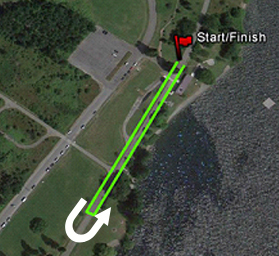 We start taking down the course after 2 hours, if you need more time we have an early start option at each race. You can start the race 1 hour early at any of our events. The course is mostly paved with sections of gravel trail as well as grass. There is one solid hill on the course but besides that it's pretty flat. 2 Team Run= 1 laps each. Both runners start at the same time and the times are added together for a team time. Only on selected events. We have an aid station every 3 miles. During the summer months we have an aid station every 2 miles. 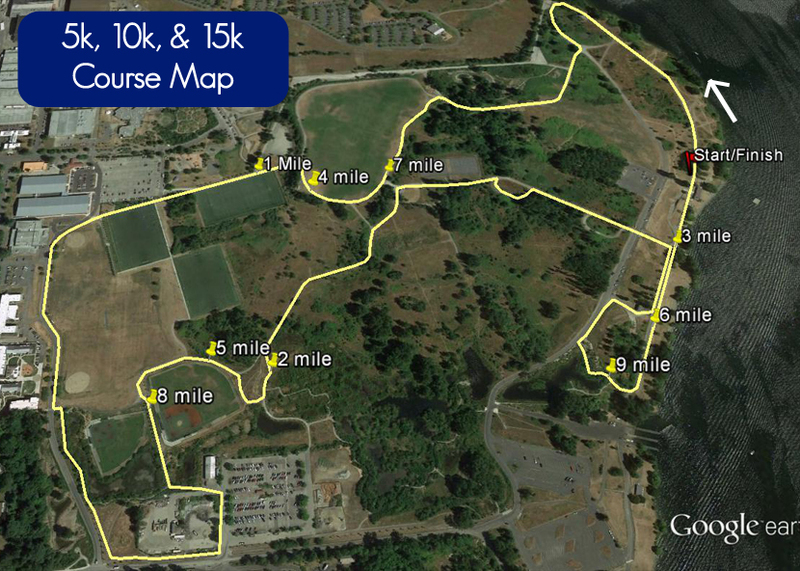 The course is a 5k loop so one lap for the 5k, two laps for the 10k and 3 laps for the 15k. When you arrive back to the finish line there will be a lane for passing through on your left and a finishing lane on your right. You will see the mile markers for the longer distance first as it is a 3.1 mile loop. 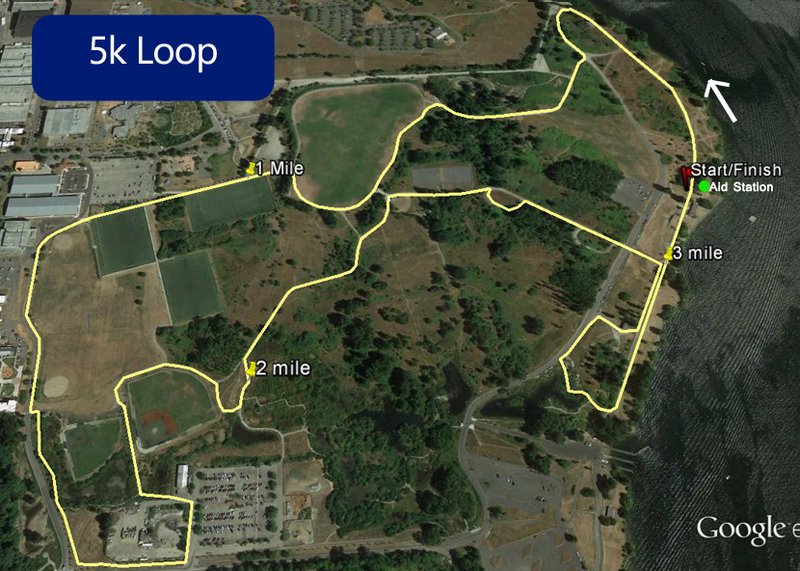 Run the 5k loop 4 times, then on your last lap you finish with our 1.097k loop. 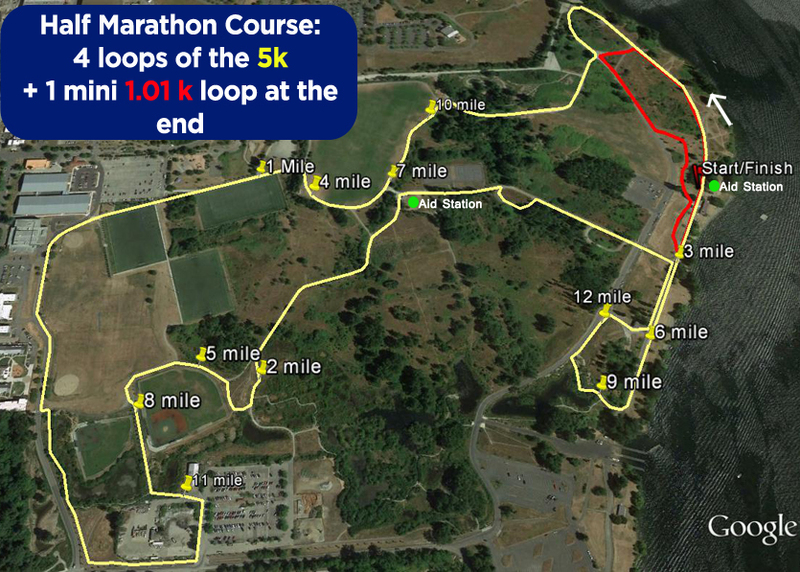 This gives you a 21.097k course which is a half marathon 13.1miles. Run 2.6 miles, bike 10 miles, than sprint 1/2 a mile to finish! The kids dash heads 200m south on the course to a turn around and than heads back to the start for a total of 400 meters. Parents may run with their kid if they would like. The event starts 15min before the main event start time. The age range is from 2-10 years old. 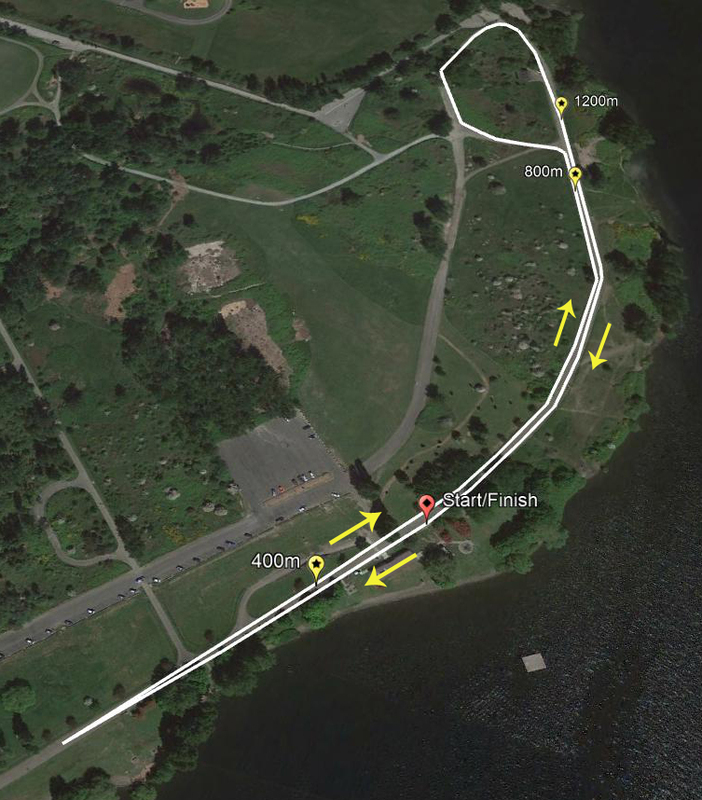 The race starts at our normal start/finish line and you start out running South, do a u-turn and cross the start line to the halfway point (800meters). You continue to follow the course which loops you back to the finish line.